Five Eloquence albums dedicated to the art of Simon Preston were enthusiastically welcomed by the press in 2018, featuring in 'Best Of' end-of-year selections in Gramophone and online. In 1970 Preston became Organist and Choirmaster at the Cathedral of Christ Church Oxford, and the Argo recordings that resulted pay eloquent testament to his gifts as a choir trainer. A pair of them featured music by the most fluent of the Low Countries polyphonists, Orlando Lassus. The first was made in 1973, and widely recognised as a landmark album for its clarity of inner-part voicing and vivid sensitivity to Lassus' word-painting. A sequel followed two years later, pairing the fifth of the Penitential Psalms with some of the motets for which the composer is best known such as the splendid Omnes de Saba venient and Alma Redemptoris Mater with its soaring top line ideally suited to an English cathedral treble line. A Decca album of three Masses made two decades later enables instructive comparisons to be made between the pointed attack of Preston's Christ Church choir in this music with the much smoother euphony of King's College, Cambridge. 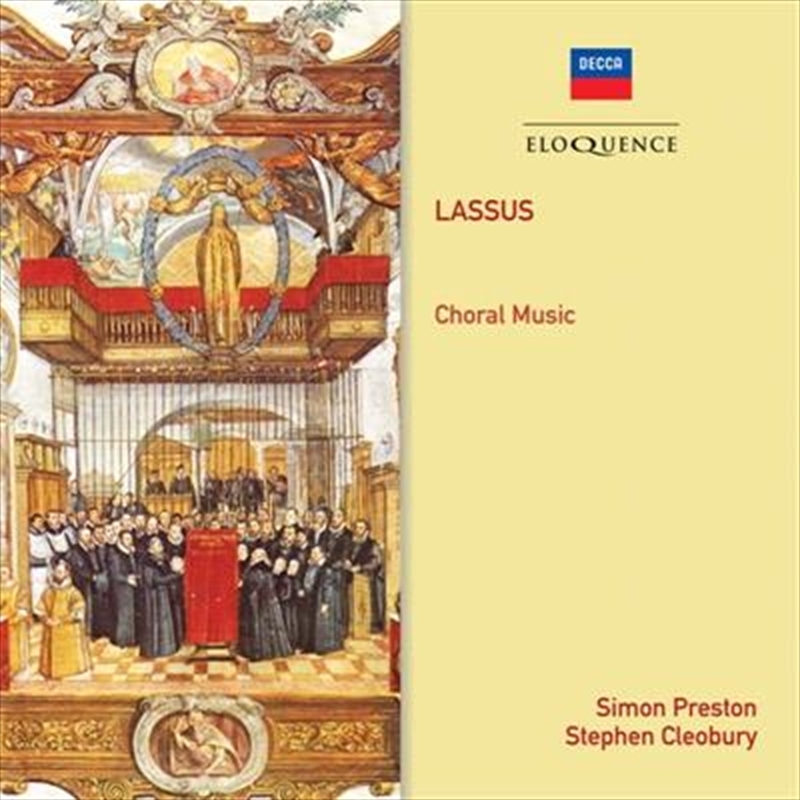 Commentators habitually rank Lassus's Masses well below his motets, but nothing in the Masses heard here discloses Lassus at anything less than the height of his powers. Both Missa Bell' Amfitrit Altera and Missa Vinum Bonum are conceived for double choir – each choir being in SATB formation – and they accordingly show a greater opulence than most of their companions. New booklet notes introduce Lassus's life and work, written by the renowned scholar of Renaissance polyphony R.J. Stove.